THE MINISTER FOR Housing was unable to provide a figure today for how many homes were built last year. Eoghan Murphy was answering questions at the launch of the government’s housing report for 2017. Speaking at the launch, Murphy said that he was unable to give a definitive figure of how many new homes were actually built last year. “I can’t give it right now but we are doing work to get that figure,” Murphy said when questioned. “What we don’t yet have is a way of calculating every single home built in the country across social and the private side,” he said. While the minister could not give the number of homes built, he said the government did have figures for the number of new build commencements (work begun on a building site, but not necessarily completed), the number of planning permissions granted and the number of social housing units built. He said all of these point towards housing builds exceeding government targets. The reason for the department not being able to say how many new houses are built is that it has stopped referring to houses with new ESB electricity connections as “completions”. In the past, a housing completion would be listed as a housing unit that received a new ESB connection. However, the department came in for strong criticism last year for using this measure. This was because new ESB connections also applied to houses that had been vacant for more than two years, and so all the houses called “completions” were not in fact new housing stock. This resulted in the Housing Department having a different figure than the CSO and others when it came to new homes. For example, an A&L Goodbody report published earlier this month said that 8,659 new homes were built during the first 11 months of 2017, which was significantly lower than department figures. Murphy acknowledged this fact today, and said he had put an end to using this measure as it wasn’t accurate. “When I came into office ESB connections were being termed as completions and I stopped doing that because they’re not strictly completions because they also include in them homes that have been vacant for more than two years,” he said. So they are existing homes that weren’t being built, they’ve just been lying vacant and have been put back into use. The minister said that work was under way to give a true figure for the number of homes actually built last year and in the second half of 2016. He said that this work should be completed “in the second quarter of this year” and that from then on, an accurate figure for the number of homes actually built will be given quarterly. According to department figures, over 17,500 new homes commenced construction last year – a 33% rise on 2016. There were over 9,500 “registrations” of larger developments – a big jump on previous years. There were also over 19,000 homes connected to the ESB network, and over 18,000 planning permissions granted. However, as the minister said, the number of actual new homes is unavailable. The department was able to say how many social houses were built last year. In total, 2,245 new social homes were built last year, 189 below the target of 2,434. These homes are a combination of builds by local authorities, Approved Housing Bodies (AHBs) and Part V builds (meaning 10% of significant private housing developments). In total, 1,058 of the homes were built by local authorities, 799 came from AHBs and 388 were delivered through Part V.
Types of houses built included traditional construction, turnkeys, rapid build delivery and regeneration of dilapidated stock. No breakdown was available for how many units of each type were delivered. The figure marks a huge jump (c. 1,400) on the number of social housing completions at the end of September, as laid out in the Rebuilding Ireland Q3 status report. It has been met with some scepticism by housing experts. 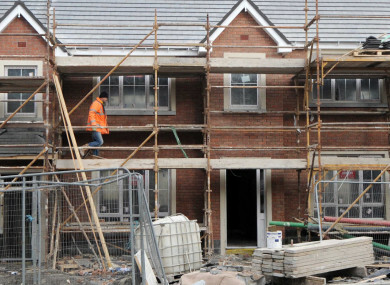 Gerard Brady – head of tax and fiscal policy at Ibec – pointed out that it would be the biggest local authority social housing build since the economic crash. “When we announced the Q3 report… I signalled at the time that we were expecting significant increase in delivery in the fourth quarter. We could see what was on site, at the time I think it was 3,700 on site across 190 sites across the country,” he said. “And we were driving a particular piece of work to get as many houses completed before the end of the year to get new families into homes before Christmas. A significant number of homes were completed in that fourth quarter and we’ll publish those figures later in the year, you’ll be able to see that piece of work done. Overall, the department said that it exceeded its social housing delivery targets by over 20%, according to the figures published today. The department said that 25,892 households had their social housing needs met last year. This is 23% above the target of 21,050 that is set out in Rebuilding Ireland – the government’s Housing Action Plan. The vast majority (c. 76%) of the households were delivered through the private rental market – for example through the Housing Assistance Payment (HAP), long-term leasing, and the Rental Accommodation Scheme (RAS). Sinn Féin housing spokesperson Eoin Ó Broin criticised the government over the latest figures, saying that targets were too low. “The real issue is that the Government current targets are also too low,” he said. At a time when we need more than 10,000 real social housing units every year to meet existing housing demand the Government is falling 40% short. This is simply not good enough. Email “The Housing Department doesn't know how many homes were built last year”. Feedback on “The Housing Department doesn't know how many homes were built last year”.